One of the most sought after destinations in the country, the capital of Alagoas is breathtaking. The beaches of Maceió enchant with their natural pools of crystal clear waters, an incredibly green sea and its coral barriers. The beachfront is filled with bustle and excitement, with the boardwalk being the heart of the city. 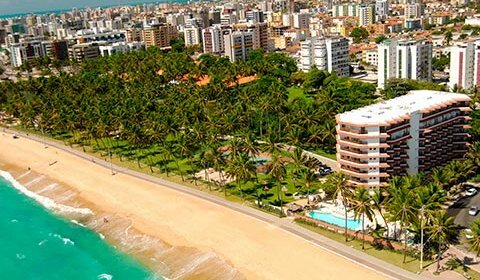 And best of all, we have the best hotel option for you in Maceió. Pajuçara, Ponta Verde and Jatiúca are the three beaches responsible for the success of Maceió. There is no shortage of fun. Rafting tours and the sale of handicrafts on the tree covered and bustling city beachfront are indispensable tourist attractions for those who choose this destination.